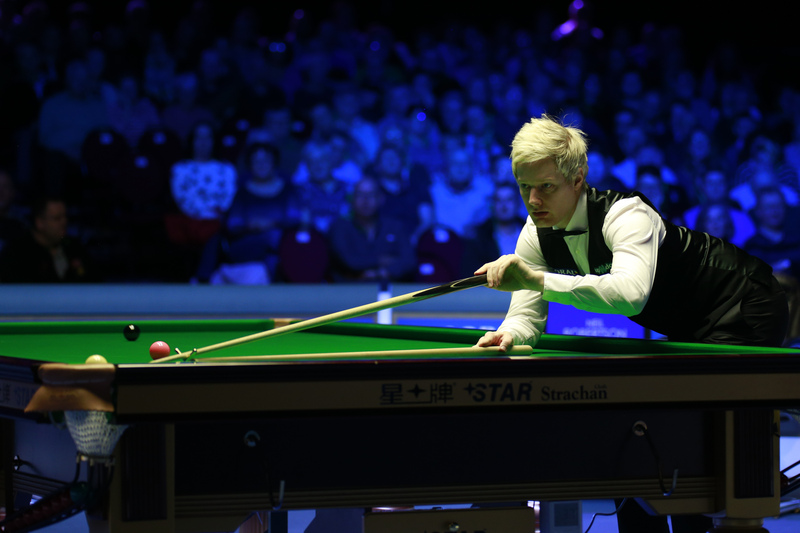 Neil Robertson will take a 5-3 advantage over Mark Allen heading into the concluding session of their semi-final clash at the Coral Tour Championship in Llandudno. Australia’s Robertson requires five more frames when they return at 7pm to play the remainder of this best of 19 encounter. The winner will go on to face Ronnie O’Sullivan in the final over three sessions for the £150,000 top prize. Both Robertson and Allen are enjoying strong seasons, having won two ranking titles apiece. 15-time ranking event winner Robertson was victorious at the campaign opening Riga Masters and the Welsh Open. While former Masters winner Allen, who tops the one-year list, secured titles at the International Championship and the Scottish Open. The opening exchanges proved to be fragmented as Allen took a 44-minute opening frame. He then doubled his lead with a break of 78 to move 2-0 up. The third frame contained further drawn out exchanges, but it was Robertson who pivotally came out on top to cut his arrears in half. Robertson capitalised on his momentum by compiling a century break of 106 to go into the mid-session at 2-2. Further contributions of 101, 61 and 69 helped him to make it five on the bounce, as he led 5-2. Allen then stopped the rot with a break of 77 to make it 5-3 and set up an intriguing evening to come.